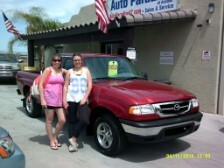 Thank you Justin & Heather, I appreciate your business! Thank you for coming all the way from Colorado! 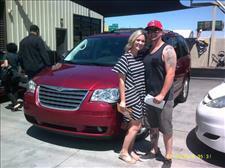 Congratulations Craig & Hannah on your New Minivan - Also, Congratulations on your new marriage and the "honeymoon baby" on the way! How exciting! 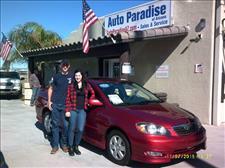 Super clean Low Mileage Corolla S - Nice buy! 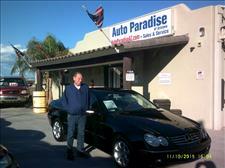 Awesome low mileage Mercedes Convertible - Congratulations! 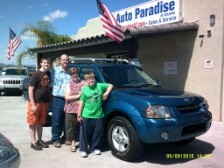 Awesome low mileage Explorer - CONGRATULATIONS! 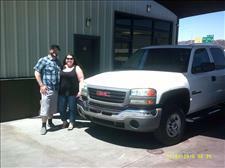 Thank you for your purchase - CONGRATULATIONS! Thank you for your business. 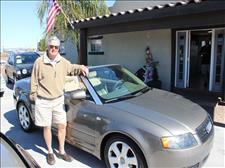 Enjoy this low mileage Passat! 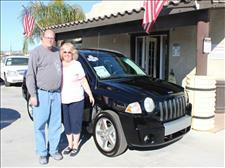 Congratulations on the purchase of your New used Jeep! 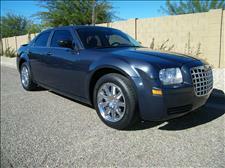 About a year ago I bought a Chrysler 300 from you. Soon after that I had a few problems with it, but nothing major. I emailed you at that time and you were very helpful to me. I just wanted to thank you for the car, and the response. Many dealers would have probably just ignored my inquiry after the sale since used cars are an as is purchase. But, you didn't do that, and you responded to me in a helpful way. I still drive and love the car. Thanks! I will leave you positive feedback online too. Next time my wife needs a car I will check out your website again. I will probably drive this 300 for many more years though. Thanks! Wanted to thank you personally for your honesty & follow up. We received the owners manual to replace the missing one at time of purchase in the mail today as promised. 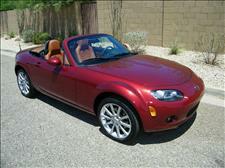 The 2006 Mazda Miata MX-5 we purchased from Auto paradise on August 9th, 2018 is a sweet Roadster. We are enjoying every ride. It is truly a fun car. Brett, perhaps you’ll recall in my inquiry texts, I ask you if we would be disappointed based on your advertised representation of the car after driving down to see it from Prescott Valley. You assured me we would not be disappointed. I must say your representation of the car was right on. We fell for it at first sight! 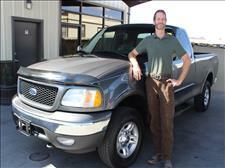 In addition Brett, we appreciated your making the purchase smooth with your straight forward up front approach. 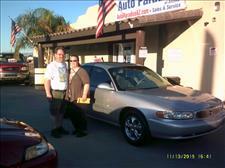 We are a satisfied & happy customer. 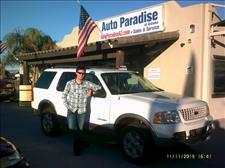 Based on our experience with (Brett) Auto Paradise of Arizona we would highly recommend this company. AWESOME SERVICE! They fixed every issue I found and there weren't but two. 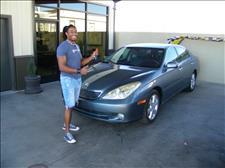 They also had a very healthy selection of cars, I will most likely be back when the time to search returns. Nate. Well pleased with the service! Took care of everything, look forward to dealing with them in the future. Wonderful company. Great customer service! Great deal. Would definitely do business again here! Thank you! The truck I bought here is GREAT and the price is right. I flew to Arizona to look at this truck and I'm glad I did. Very solid business run by good people. What a relief! I would buy a car from this company again and again. Super nice, not pushy and very helpful. Ron couldn't have been any nicer and when I had a minor issue, they took care of it immediately. 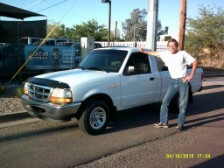 Just purchased 2002 Ford Ranger XLT couple of days ago. Super and honest folks at this dealership. Smooth transaction. Nothing but positive things here. 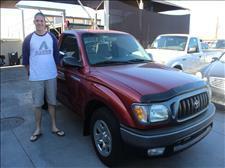 2002 Nissan frontier Crew Cab 4x4, One Owner. 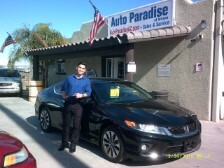 Recently I purchased a 2013 Honda Accord coupe at Auto Paradise and I must say, it was by far the easiest and least stressful experience I have ever had in working with any car dealership in the valley! I had been to every major Honda dealership in the valley and found this one just by random chance and was very impressed (not to mention got the best price I could find.) 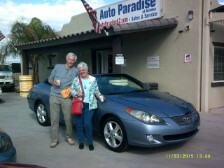 I worked with Ron and he was extremely helpful, friendly and personable. I never once felt pressured nor uncared for and he even helped me through from the test drive to registration and plates. 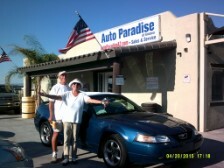 Auto paradise has some of the best inventory that I have ever seen from a smaller dealership and their vehicles are very well kept and they offer a great warranty (as they also have their own shop and mechanics on site.) Overall, I must say that this was the best and most genuine experience I could have asked for in purchasing a vehicle and I would highly suggest anyone in the market to make a stop by and see what they have for you! 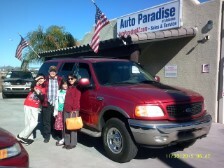 Thank you again Auto Paradise! One Owner with 70,000 miles! 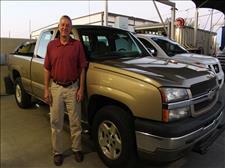 One owner truck with only 41,000 miles! I would send anyone I know to Auto Paradise and plan to buy my next vehicle there. Ron and his crew are straight forward and honest people. 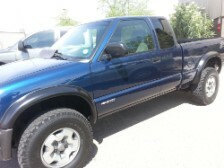 I got a great deal on a 2003 GMC Truck and could not be happier. 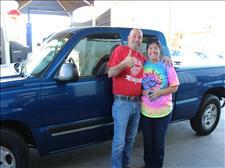 Ron Rockey went out of his way to ensure I was happy and had the vehicle I both wanted and that fit me best. He was friendly, respectful, honest and kind. A man who will look you in the eye when he shakes your hand. 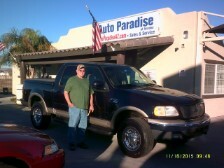 I felt like I was buying a truck from a good and trusted friend. 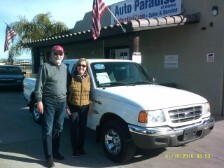 If you are looking for a place that is welcoming and friendly, honest and straight forward, respectful and courteous, and has outstanding deals on good vehicles, then go to this place to buy your next set of wheels. 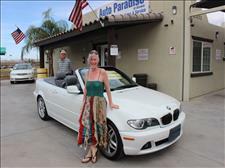 They will make sure you are happy and that you have the right car for you. While most in the business have their eye on the bottom dollar, Ron and his crew have their eye on providing the best customer service I have experienced in Phoenix without question. John T.